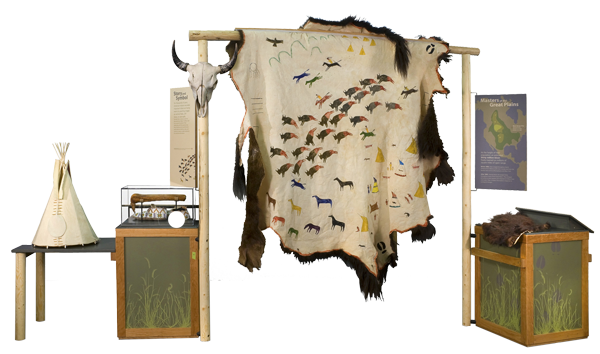 Bison creates an interactive environment that combines history, artifacts and hands-on activities to bring to life the story of this great North American mammal. Completely self-contained, flexible and designed to travel, the exhibit can easily be installed in a variety of spaces, requiring at least 1200 sq ft. This exhibit originally toured as The Bison: American Icon through the NEH on the Road program, based on a project by the C. M. Russell Museum, Great Falls, Montana. 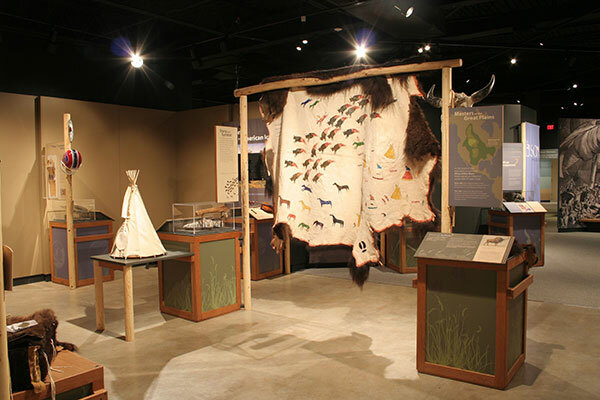 The National Buffalo Foundation acquired the exhibit at the end of this tour. Refurbished and updated, it is available to museums across the US and Canada to tell the tragic history of this majestic animal, its rescue from near extinction, and the story of people across North America working to preserve the bison as a vibrant part of our future. The North American bison (Bison bison) is a different species than the African Cape buffalo (Syncerus caffer) or the Asian water buffalo (Bubalus bubalis). people may have equated the strange, unfamiliar American animal with the more widely known Asian buffalo. We may never know the name’s exact origin, but people have been calling the American bison a “buffalo” for more than 200 years.